Well the grayling are back in the crosshairs and the vice has been red hot getting ready for it! Hopefully the weather will be kind this year, giving us many chances to fish for the stunning fish! Been tying all sorts and in all manner of colours,Pinks,purples, Flo orange and Gold. Always great to have a wide selection of colours in the box but also don’t forget the drab flies, the more natural looking colours, brown, tan, black, and greens! Below there are a few selections of my favourites ready to hit the water. I’ll put up the more natural patterns soon. Warning please wear dark glasses with these images 🙂 All materials are bought from Funkyfly tying, Great company and great products! This entry was posted in Fishing Tackle, Fly Tying, funkyfly tying, River fly fishing, River Taff, The river Wye, Uncategorized and tagged fishtec fly fishing, fly fishing, flyfishing, french leader, funkyfly tying, grayling, Grayling flies, Grayling photos, Hotspot jigs patterns, Jig hooks, Nymphing, south wales rivers, Terry Bromwell, Total flyfisher on September 22, 2017 by fishstalker666. With the number of people browsing the web on their smart phones increasing by the hour to do many different things such as checking their online banking, booking a flight or just updating their facebook or twitter status, means of interacting with the web has never been so easy. Why isn’t it like that for fishing tackle websites? Our techie team has work incredibly hard to bring you the new mobile friendly website, making browsing or purchasing fishing tackle easier than before. Now you can Check stock availability, our keen prices and order for next day delivery wherever you are! 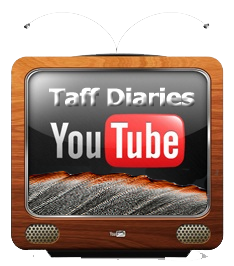 Ever been in the situation where you’ve forgotten a vital piece of kit and there’s no tackle store near? 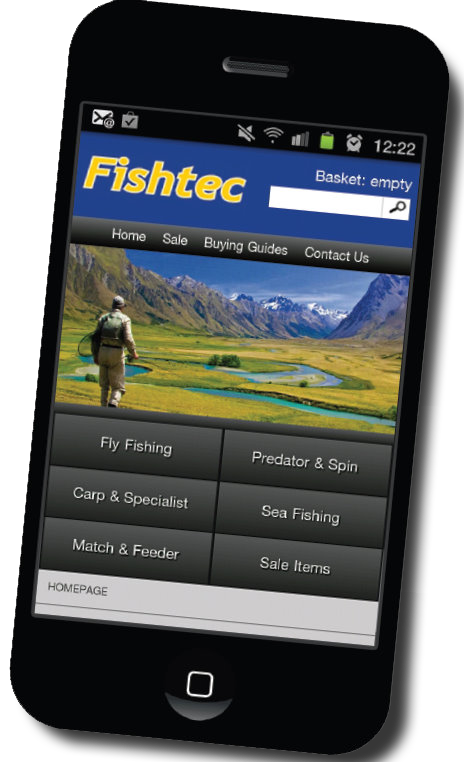 Now you can just type http://www.fishtec.co.uk into your mobile browser and purchase anything you like. Distinct buttons direct you to your desired fishing discipline, bringing up a homepage and main category section with further sub-categories. Tackle items are displayed clearly with images and sub-categories which make directing your search that much easier. Easy selection from drop down boxes makes choosing quantities and sizes effortless. Deciding which product is perfect for you has never been so easy, just visit our ‘buying guides’ which offer extensive information on how to choose the correct fly line, fishing rod or jacket. This entry was posted in Uncategorized and tagged fishing website for mobiles, Fishtec, fishtec coarse fishing, fishtec fly fishing, fishtec online, fishtec sea fishing, fly fishing tackle store, smart phone websites on February 17, 2012 by fishstalker666.